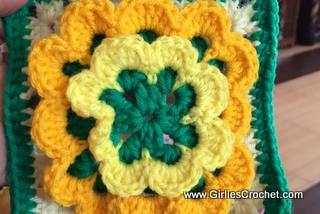 This is a free crochet pattern for Cluster Coaster with photo tutorial in each steps. 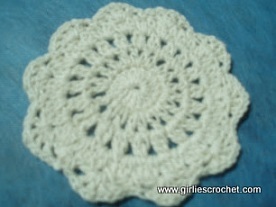 This crocheted Cluster coaster crocheted in round start in the middle towards outside of the circle. 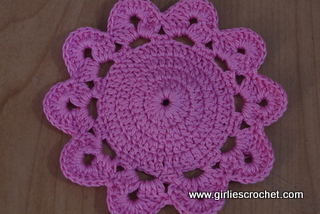 Completed pattern measures 4 inches in diameter. For photo tutorial please click here. 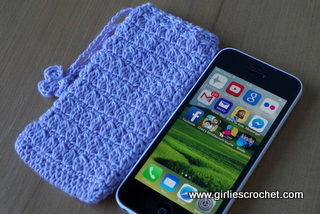 Cluster Shell (cl sh): *(Yarn over, insert hook in specified st and draw up a loop, yarn over and draw through first 2 loops on hook) twice, yarn over and draw through all 3 loops*, ch 1, rep *to* once. Cl sh made. 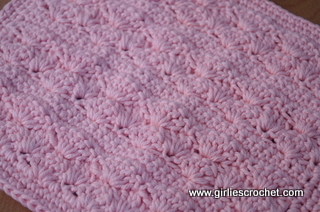 Big Cluster (bcl): (Yarn over, insert hook in specified st and draw up a loop, yarn over and draw through first 2 loops on hook) 3 times, yarn over and draw through all 4 loops. Bcl made. Shell (sh): ch 1, (dc, ch 1) 4 times in specified cl sh. Begin with ch 5, sl st in 1st ch to form a ring. Round 4: ch 3, 2 dc-ch 1-cl in the same sp (consider as 1st cl sh), *cl sh in next ch sp, rep* around, end w/ sl st in 1st cl sh to join. Round 5: Ch 1, *sc in next ch sp, sh in next cl sh, rep * around, end w/ sl st in 1st sc to join. Round 6: *Ch 3, sk next ch sp and dc, sl st in next ch sp, ch 3, (sk next dc, sl st in next ch sp, ch 3) twice, sk next dc and ch sp, sl st in next sc, rep * around.